Recently, we came to know about the Nokia smartphone with codename ‘Heart.’ VentureBeat uncovered that it is the upcoming Nokia 5 smartphone and today, we have the details of Nokia 5 Specs along with pricing and launch date. In case you don’t know, Nokia 5 is going to be one of the three smartphones that the company will launch at the Mobile World Congress 2017 at Barcelona. Today, we revealed the Nokia 3 Specs also so make sure that you check that post also. 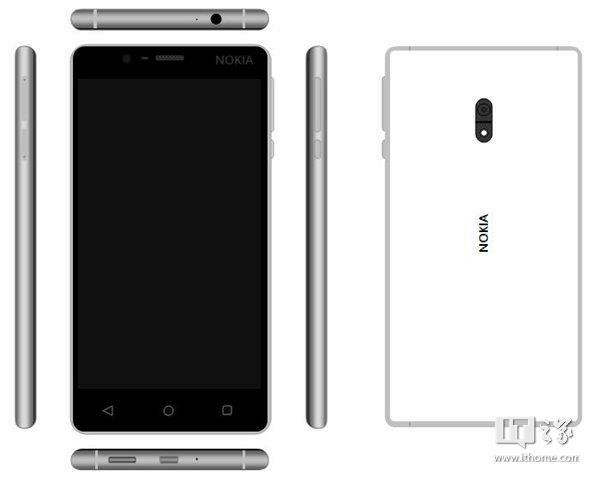 CHECK OUT NOKIA 3 SPECS HERE! Starting off with the screen, Nokia 5 has a 5.2-inch 720p display, just like the Nokia 3. It is powered by a 1.4GHz Snapdragon 430 chipset along with the Adreno 505GPU. There is 2GB of RAM and 16GB internal memory that is expandable via microSD card. The camera section consists of a 13MP rear and an 8MP front-facing camera. Android Nougat runs out of the box with Nokia’s UI on the top. Now, talking about the pricing, the Nokia 5 will initially retail for $200, and the launch date is expected to be February 26th i.e., the MWC. Stay Tuned for more updates.